I have a bunch of posts I’m excited about in my ‘post queue’ but since e.l.f. is offering free shipping for the next 13ish hours I thought I would post some of my favorite products for the month that won’t break the bank, even if you miss out on the free shipping offer the products are still affordable and the quality if good. 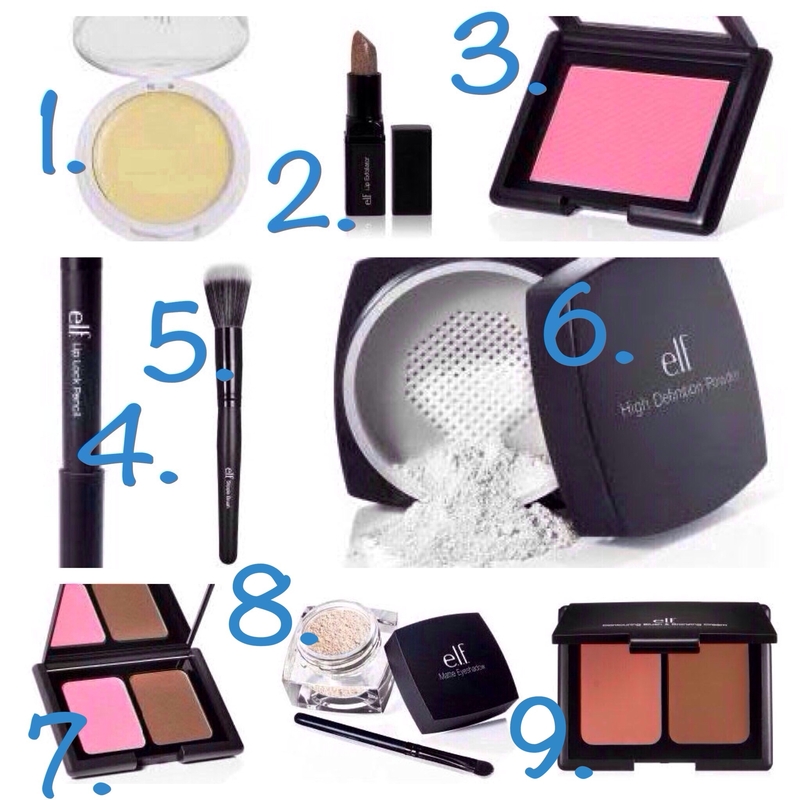 Some of these I use as dupes for other products which I tried to note below next to the link. 1. e.l.f. Essential Cover Everything Concealer – Corrective Yellow I use this to help with the dark circles under my eyes since they are terrible no matter how much sleep I get or water I chug. 2. e.l.f. Studio Lip Exfoliator A must if you wear lipstick, and it’s super cheap compared to some expensive sugar lip scrubs on the market.